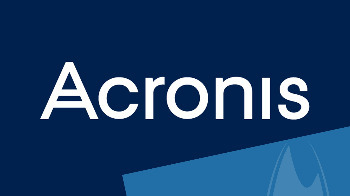 Acronis, a global leader in hybrid cloud data protection for business and consumers, today introduced Acronis True Image 2019. The new release includes major updates the program’s backup and recovery capabilities, and is the first personal backup software to incorporate artificial intelligence-based technology designed to actively protect data against ransomware. Active disk cloning: Users can create an exact replica of an active Windows system without stopping and restarting using bootable media, making migration to a faster or larger disk even easier. An updated media builder: Automatically creates boot media for a WinPE environment, so users can quickly resolve driver configuration issues and recover their systems to the same or new hardware. Continuous backup to the cloud: Users can update their backups as they work on files while securely storing an off-site version in the cloud. Virtual drive conversion: Users can test the recoverability of the full image backups, or run their system in a Hyper-V virtual environment to test various applications without risking the primary system, and move complete system image as a virtual drive to another computer. Faster incremental backups: Up to three-times faster with new Changed-Block Tracker technology that tracks image changes in real time. Automatic mobile backup to NAS devices: Morethana quarter of Acronis users have network-attached storage (NAS) at home. Now they don’t have to think about backing up a mobile device, since the process starts as soon as the mobile device connects to the same Wi-Fi as the NAS. Acronis True Image 2019 also addresses the needs of the next generation of users by expanding its support for social media with automatic backups of Instagram accounts, including photos, comments and statistics, such as the number of likes, tags or comments a post gets.